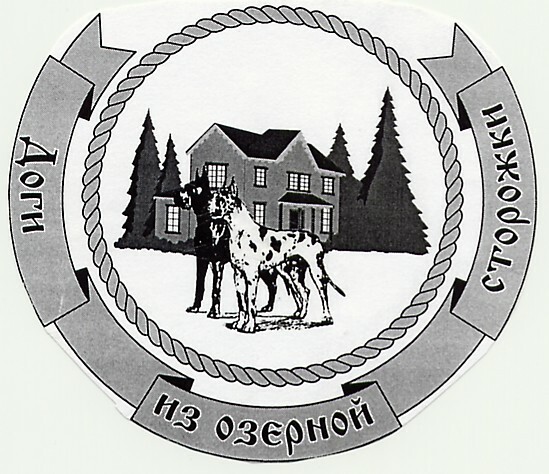 "Ozernaya Storozhka" (The Lake Cabin - in English) - one of the most succesful and progressive Great Dane's kennel in Russia. We are prefer the black and harlequin Great Danes. On the basis of our pedigrees - best and most succesful dogs from Russia and the best show-dogs from famous European kennels like v.d.Ofnethole, v.Beelen, Imperial, v.d.Munsterland. Our motto is Harmony & Perfection. Our Danes are one of the most constant participants of all famous Dog Shows in Europe. All of our breeding males and females has Russian and Champion's titles and couple of foreign countries Champion's titles.